A taxi is the best (and often only) way to arrive hereby 10:15 am. 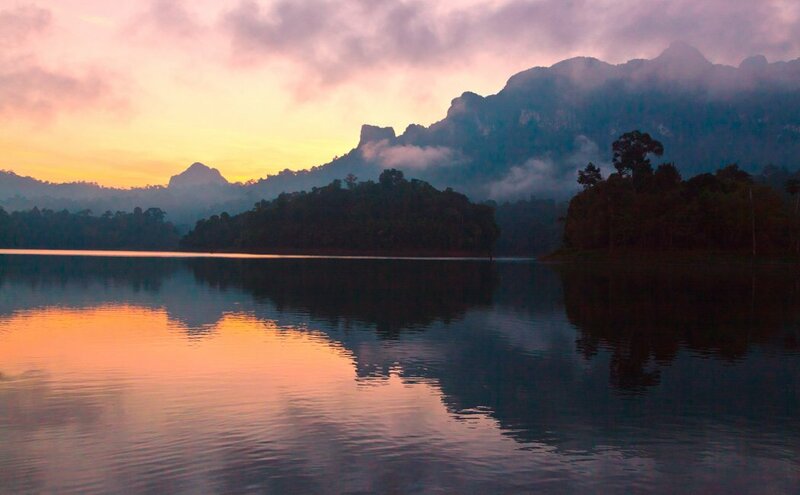 Quick stop at Gui Lin scenic area, where you’ll have a chance for a swim and some photos with an incredible backdrop! Morning Mist Boat safari, catch the mist drifting along the water and jungle as you search for wildlife. One of our favorite experiences! Return to the raft house for evening relaxation, enjoy a cocktail lakeside! Morning Mist Boat safari, catch the mist drifting along the water and jungle as you search for wildlife. One of our favorite lake experiences! 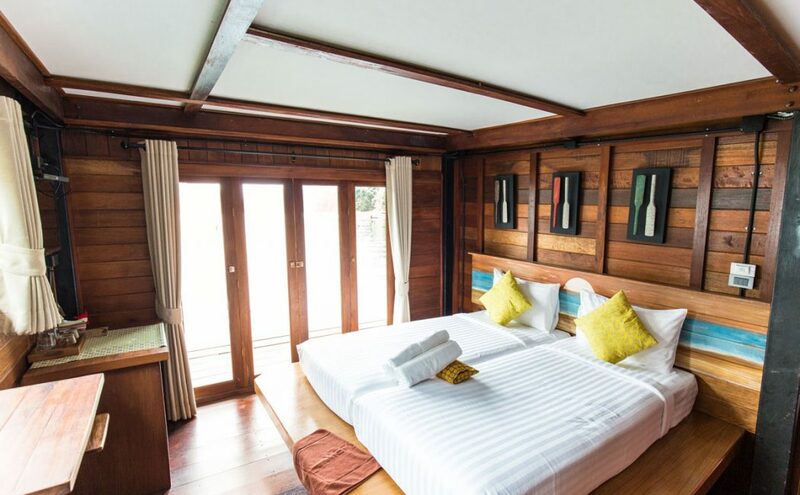 For the discerning guest who would like to experience the best the lake has to offer...some prefer a little "Luxury on the Lake"
the Luxury on the Lake tour is conducted at either 500 Rai or Panvaree rafthouses depending on availability. 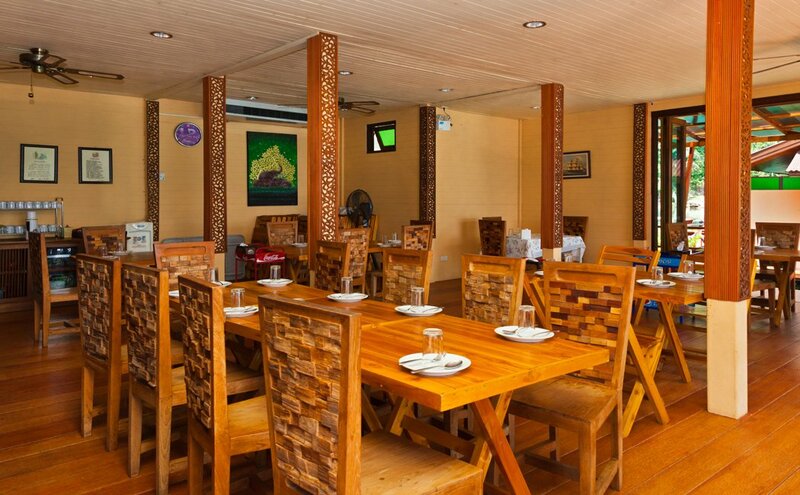 These rooms are equipped with ensuite bathrooms and fans, many can sleep larger groups and families as well. 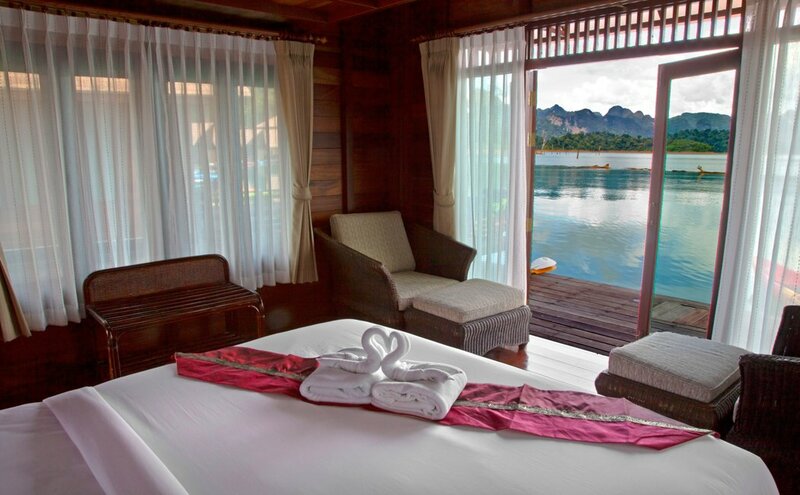 Considering their remote location in jungle surroundings, these are the finest rooms the lake has to offer. 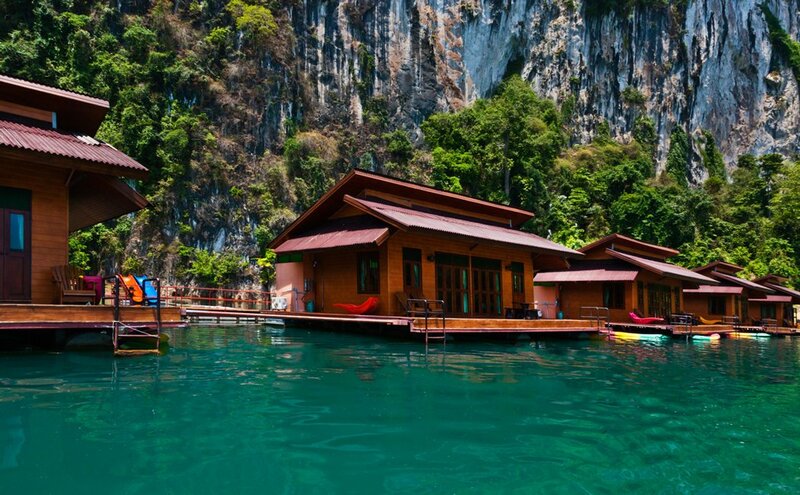 The deluxe bungalows on the waters of Cheow Lan Lake are for visitors who aren’t interested in roughing it. 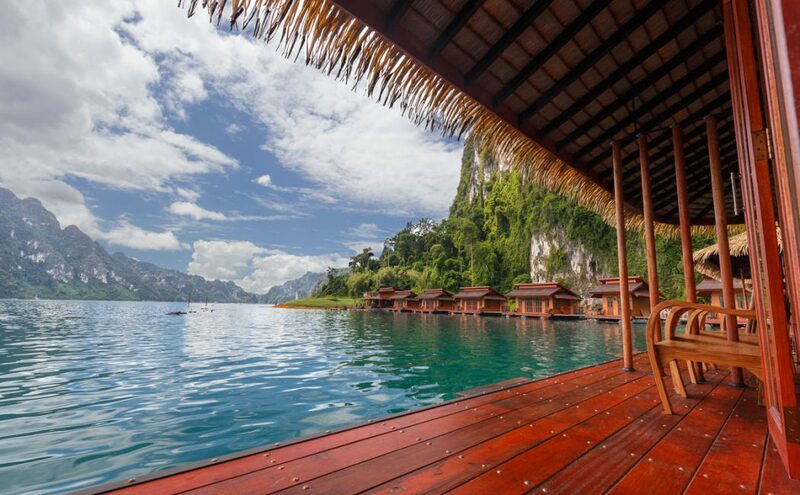 Though it’s not 5-star luxury like you might expect in a less remote setting, these places are certainly both beautiful and comfortable on the Khao Sok Luxury on the Lake Tour. 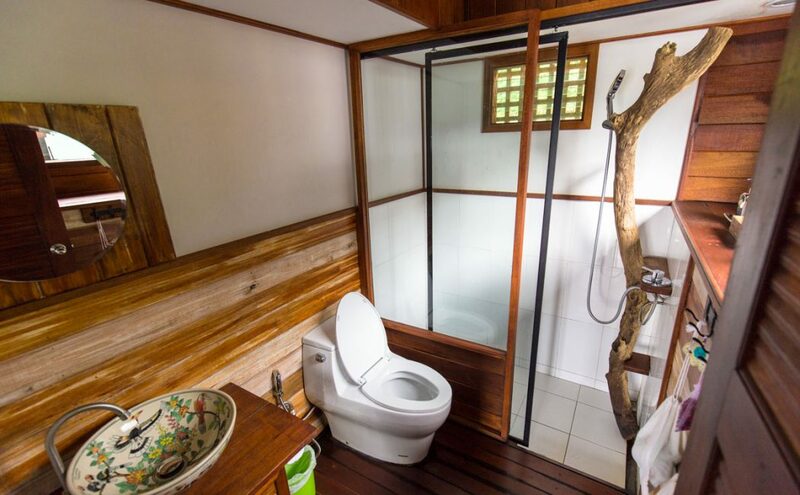 Towels, fans, air conditioning and private bathrooms are standard. 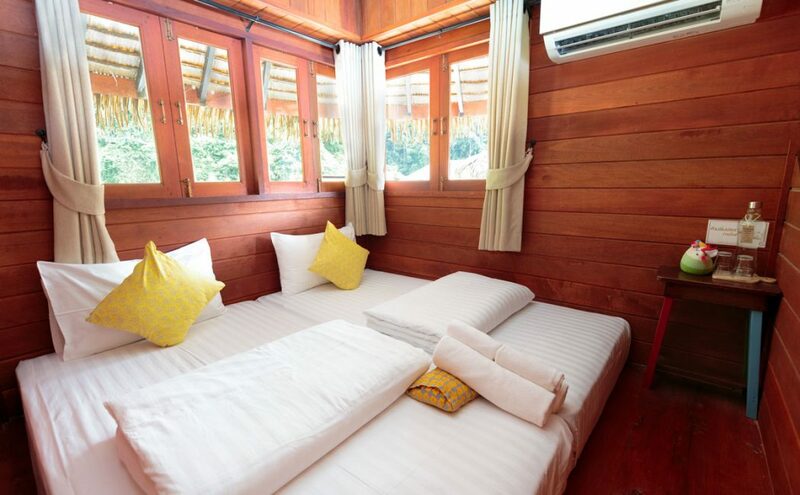 The restaurants cook to order, and the beds feature high thread-count linens.All deluxe bungalows feature fine tropical hardwood interiors for a welcoming respite from the exotic wilds of Khao Sok National Park. Please note that these prices may be subject to holiday surcharge rates.